Secure, fast and easy online payment from your own bank via a secure zone in your own trusted banking environment. Ordered with iDEAL before 17:00? Sent the same day! Credit card transactions such as Visa card and American Express are only sent via a secure server over the Internet. For example, your data cannot be known to unauthorized people is safe online shopping and paying. Maestro is a debit card, which is accepted throughout Europe and in other countries worldwide, the amount paid is immediately deducted from the consumer's account. PayPal is a safe way to pay online without sharing your information. Link your bank account or credit card and pay in a few clicks. PayPal is a worldwide popular payment method that is associated with your email address (s). By means of giving up your email address and the associated security code, you can transfer money from your PayPal account or money in your PayPal account. Do you have a PayPal account then you can using the payment method PayPal with us your payment? To pay with PayPal you have a PayPal account/account, you can open your PayPal account at www.paypal.nl. A PayPal account is free, secure and reliable. PayPal accounts are available for businesses, consumers, foundations, etc. You have no Internet banking but a PayPal account, then our payment method PayPal for you might be the perfect payment method to be safe, reliable and easy to comply with your order, product or service. PayPal is international and knows no boundaries and is excellent for international payments. Note: under conditions, your return is refunded by PayPal. Giropay is an online payment system in Germany. People with a bank account suitable for internet banking can thus electronically transfer their payments through a secure zone in their own familiar banking environment. Dotpay -in one connection with direct access to the most popular Polish payment methods, this allows italian-design.nl to accept direct payments from Polish consumers. Is a favorite payment method of Belgian consumers, with which italian-design.nl can accept online payments from Belgian consumers. A very suitable and trusted online payment method, for our French consumers, Carte Bleue cardholders, this credit card is issued by Visa. A SOFORT payment is, in fact, a bank transfer, fast payment through a secure trusted banking environment. As a customer, you only have to indicate which country you pay and can then complete the payment. 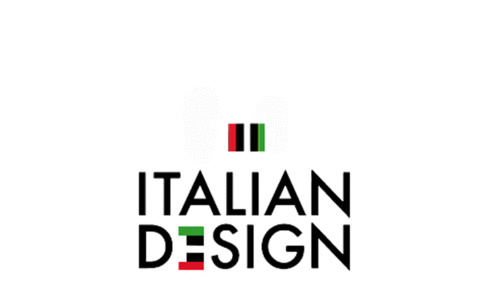 italian-design.nl is an acceptor of gift vouchers Fashioncheque, Fashion gift card, VVV Gift card and YourGiftcard. These online payments are processed via the same financial service provider / 'payment gateway', but it is currently not technically possible yet to present both gift cards simultaneously with the payment methods. Between the payment methods, you only see the VVV Gift card. Business days from 10: 00-20: 00 u.